The probe agency, in March last year, had attached a school building in Chennai and a warehouse as part of its provisional attachment in the case and it was carried out under the stringent criminal provision of the Prevention of Money Laundering Act. 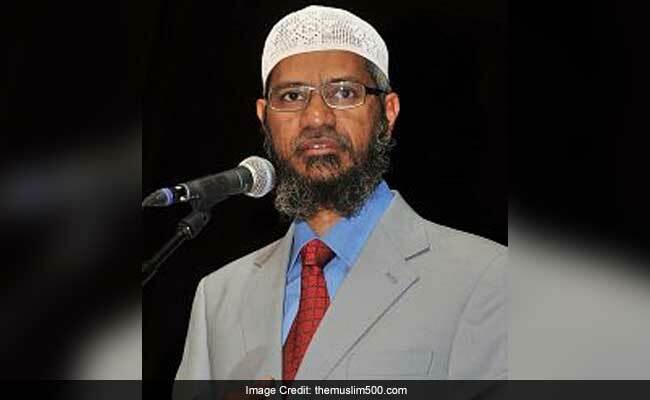 New Delhi: A tribunal under the Prevention of Money Laundering Act has restrained the Enforcement Directorate from taking possession of immovable assets it has attached in connection with a money laundering case against controversial Islamic preacher Zakir Naik. The agency said it would appeal against the move. The central probe agency, in March last year, had attached a school building in Chennai and a warehouse as part of its provisional attachment in the case and it was carried out under the stringent criminal provision of the Prevention of Money Laundering Act (PMLA). As per the legal scheme under the Act, such an order goes to the Adjudicating Authority for final approval and in case the ED's action is endorsed, the affected party can appeal it before the Appellate Authority of the law. The Appellate Authority (PMLA), now in a recent order, directed the agency to restrain from taking possession of the said attached immovable assets even as it posed several queries and questioned the agency's action in the case. Official sources in the ED said the agency will appeal the order of the Appellate Authority or the Tribunal before a High Court and that it was not a "set back" in the case. Officials said the tribunal order has not "quashed" the attachment but has directed that status quo be maintained. The tribunal, they said, has at the same time not barred the agency "from taking possession" of the movable assets attached in the same order that includes mutual funds worth about Rs 9.41 crore and five bank accounts containing deposits worth Rs 1.23 crore in the name of Naik's NGO Islamic Research Foundation (IRF). Agency sources said the investigation conducted by the ED officials is independent of the NIA and that it has found that these assets were created by Naik and his associates using alleged "tainted funds". The Adjudicating Authority had approved the ED order after being satisfied by the investigation, they said, adding this will be a point made in the appeal to the High Court. The ED is looking into the charges of alleged laundering of illegal funds in the case and the subsequent proceeds of crime thus generated. The National Investigation Agency (NIA) had first registered a case against the 51-year-old Naik under antiterrorism laws in 2016 for allegedly promoting enmity between different religious groups. Naik, who is said to be staying in Saudi Arabia to evade arrest after some perpetrators of the Dhaka terror strike last year claimed they were inspired by him, has been booked along with unnamed officials of the IRF for promoting enmity between different groups on grounds of religion, and doing acts prejudicial to maintenance of harmony besides various sections of the Unlawful Activities (Prevention) Act.